Admittedly, I am a converted cat lady. After growing up with dogs, it took a small New York City apartment and a lazy tabby cat named Peeps to find me shopping for Meow Mix. 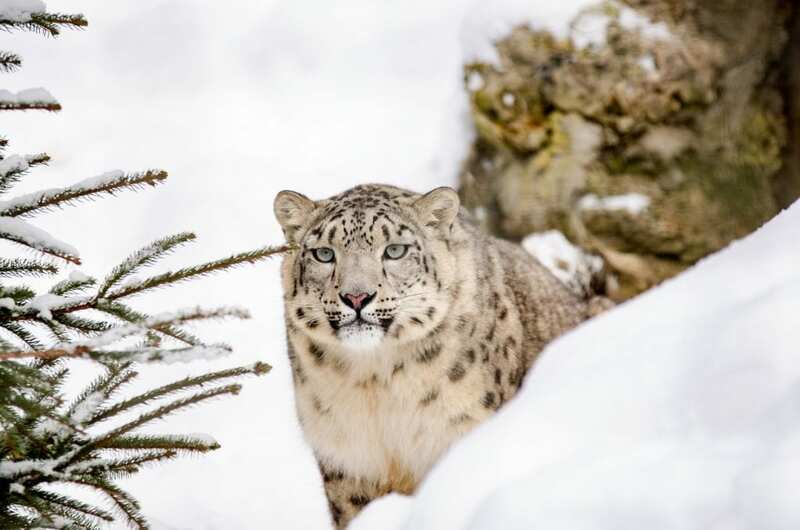 So, when I came across Margarita Steinhardt—author behind The Wildlife Diaries— and her mission to see the world’s wild cats in their natural habitats, my interest was immediately piqued. Originally from Russia, Steinhardt has made it a personal goal of hers to see all 40 species of wild cats on earth. With hopes to one day publish a book inspired by her research and cat-fueled travels, Unearth Women caught up with Steinhardt to hear about her journey. Unearth Women (UW): What first inspired this journey? Margarita Steinhardt (MS): I think the idea of trying to see all species of wild cats in their natural habitat grew out of my love of tigers. For many years I was borderline obsessed with these magnificent cats. I worked with them in captivity, watched them in the wild in India. It was all about tigers for me. Then, a few years ago I had an opportunity to spend some time in South Africa and I found myself getting very excited about the African cats. And as I searched for cheetahs, lions and leopards in South Africa, which made me think about all the different ecosystems in the world and all the different cats that live there, and I decided I wanted to see them all. The cat family is incredibly diverse. There are cats that live on tropical river banks and hunt for aquatic invertebrates with their webbed feet, cats that live in sand burrows in the Sahara Desert, cats that stalk the high passes of the Himalayas and the snow-covered forests of Alaska. Each and every cat is perfectly adapted to its unique environment. It is a fascinating family to explore. UW: You mentioned that there are 40 types of wild cats, how many of those have you seen so far? MS: The total number of cat species actually varies. As our scientific tools become more refined, the scientists get a better understanding of cat populations and sometimes a species can be split into two, like the most recent split of the Leopard cat, based on DNA analysis. Now we have a Mainland Leopard cat that occurs throughout Asia, and the Sunda Leopard cat that lives on the islands of Borneo and Sumatra. Currently, the International Union for Conservation of Nature (IUCN) recognizes 40 species in the cat family and I have seen 14 out 40. So, I have a long journey ahead of me. UW: Can you share one of the more exciting times you’ve spotted a wildcat? MS: I honestly feel that every sighting of a wildcat is very exciting because no matter how hard and how long you look for them, the sightings always feel unexpected. 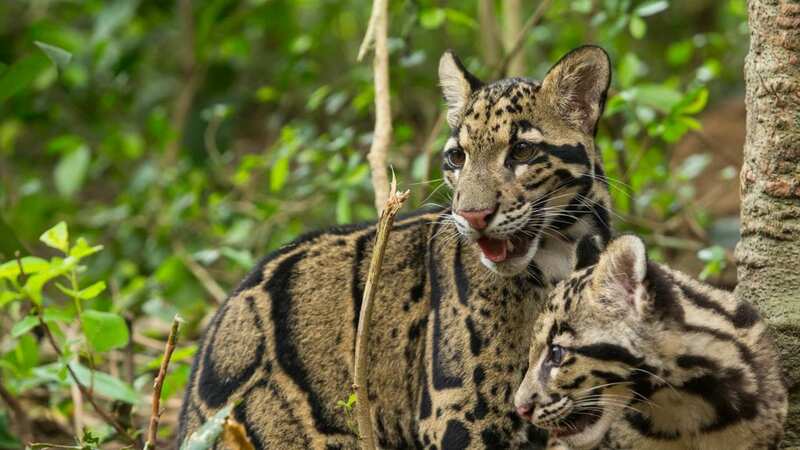 This year, for example, I spent almost four weeks looking for the Sunda Clouded leopard in Borneo. Night after night we would drive the jungle roads hoping a male leopard would emerge onto the road while patrolling his territory. It never did. Then one day, we were on the road in broad daylight around 2 pm, heading out to look for Orangutans and a female Clouded leopard nonchalantly crossed the road in front of us. We couldn’t believe our eyes. UW: Does your quest to see wild cats have a larger mission tied into conservation? MS: My background is in Conservation biology and I am always on the lookout for conservation initiatives to contribute to. With my quest specifically, the contributions are mainly indirect. Taking part in wildlife watching trips contributes to the development of eco-tourism in areas that otherwise could be taken up by agriculture or timber production industries. Writing about wild cats has the potential to raise public awareness of them. Some of the cat species are virtually unknown to the general public and if my stories pique someone’s interest in these creatures, maybe even raise an emotional response, then it makes people a little bit more invested in the cats’ future. UW: For someone keen to follow in your footsteps, what would be your advice to them? MS: I would suggest remembering to enjoy the journey. Looking for cats in the wild can be a frustrating exercise. It usually involves long hours in the field, often in inclement weather and sometimes without many creature comforts. And after all your efforts, you may not even see the cat. So, it is important to be able to enjoy the search itself. 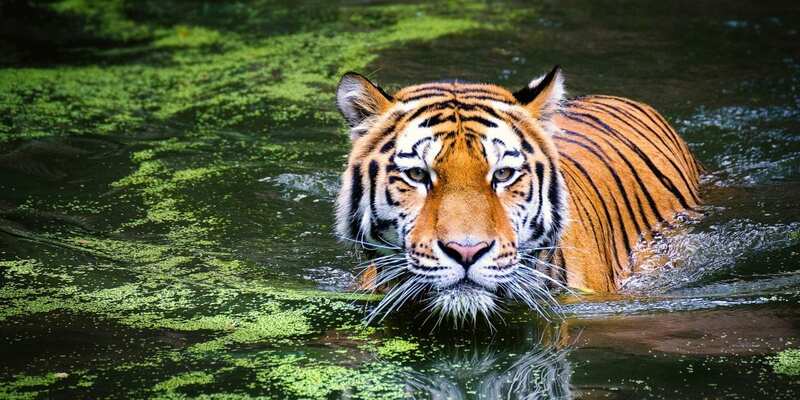 UW: How can people support the conservation and protection of wild cats? MS: The main threats to wild cats are habitat loss and poaching. Both are often driven by the demands of the market. What we can do as individuals is make these activities as unprofitable as we can. If no one buys products containing palm oil for example, there will be little financial benefit from clearing wildlife habitat for oil palm plantations. In terms of contributing to conservation programs, I personally like supporting local research projects that work directly with the species I am interested in, such as the Andean Cat Alliance or the Peruvian Desert Cat Project. You can follow these projects on social media and receive regular updates about their findings. UW: Where are you off to next? MS: This year I am heading to Argentina and Brazil. In Argentina, I will be looking for one of South America’s small spotted cats – the Geoffroy’s cat—and in Brazil, I hope to see the Jaguar and the Ocelot. There is also a chance of spotting one of the other South American felines: Pampas cat, Northern and Southern Oncilla, Margay and Jaguarundi. You never know what you come across in the jungle. Love this goal; I have similar ideas in my brain about seeing animals in their natural habitats. Some of my accomplished favorites were: Beluga Whales, Komodo Dragons, Rhinos, Hammerhead Sharks and Leopards. Best of luck for your cat spotting! What a fantastic life goal. A few years ago I learned about the threat big cats face today, and it is incredibly sad how rapidly their populations are declining–especially when you look at the exotic animal trade industry and how they are abused. I look forward to Margarita’s book to learn about some of my favorite animals on the planet.